Gio Fajardo is a Crew Chief for SERVPRO of Meriden. 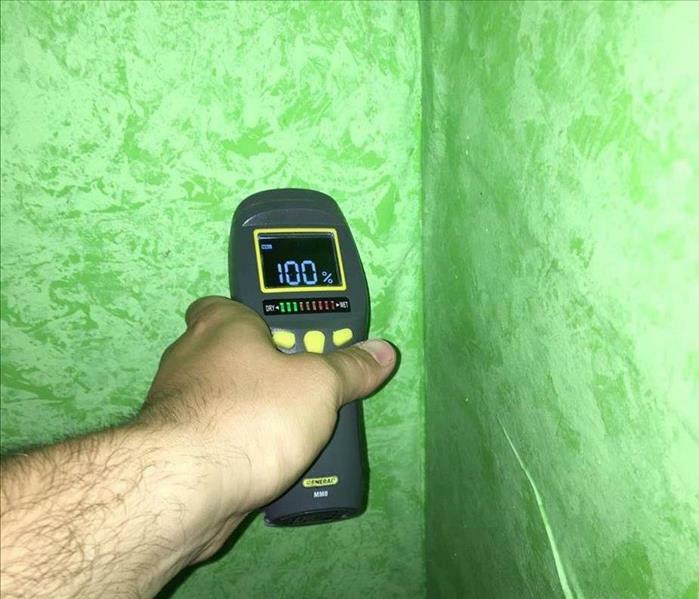 He specializes in Commercial drying, as well as Job Assessments. He is also a Certified Mold Remediation Specialist. 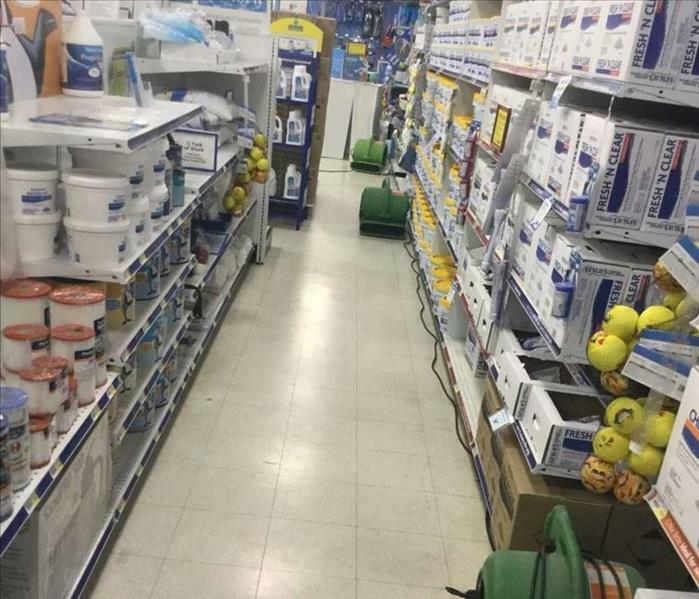 He has a vast wealth of knowledge and experience in Commercial and Residential cleanups. 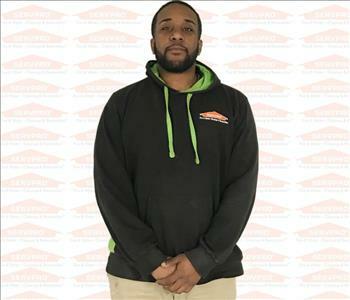 He has been with SERVPRO of Meriden for over 5 years, and is considered to be a go to employee. 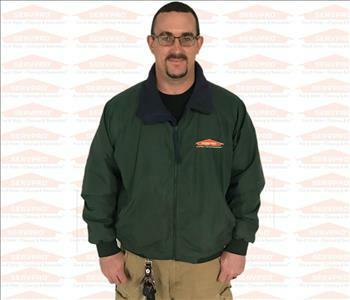 Steve Basler is a Crew Chief at SERVPRO of Meriden. Steve’s strong drive and attention to detail makes him a valued team member since last 4 years. He has completed our rigorous SERVPRO Employee Certification Training Program. This program teaches advanced cleaning and restoration techniques and how to properly use our state-of-the-art equipment. This training also emphasizes listening skills, customer service, and exceeding our customers’ expectations. Furthermore, he is IICRC as well as OSHA certified team member at SERVPRO of Meriden. 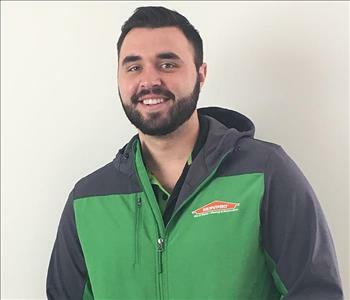 Quentin Moris is a Crew Chief for SERVPRO of Meriden. He specializes in demolition of affected materials, as well as Commercial and Residential cleanups. He sets the standard for client satisfaction often going above and beyond ensuring they are pleased with his services and those of his fellow crew members. 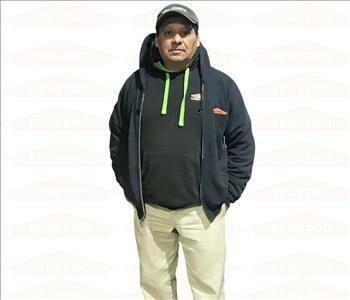 He has been with SERVPRO of Meriden for over four years. 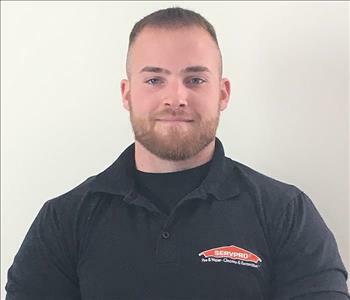 Brian Levchuk is a Marketing Representative at SERVPRO of Meriden. He is a motivated, hardworking, and team-oriented BSA graduate from Albertus Magnus College. He is devoted to every customer, and carefully follows each detail of a loss from the moment it is called in. Brian is certified in asbestos safety and mold remediation. Outside of SERVPRO, Brian enjoys playing baseball and spending time at the gym. 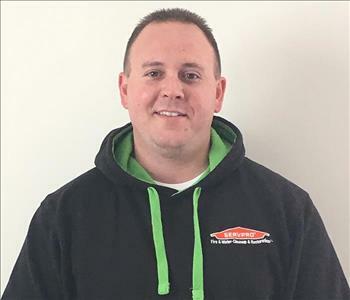 Dan Stanley is a Sales Marketing Representative and Project Manager for SERVPRO of Meriden. His background is rooted in the real estate, property management and construction industries. He currently acts as a lead point of contact for the customer, walking them through the entire process of a loss. He starts by assisting our customers with the insurance process and stands by them throughout the project ensuring full customer satisfaction on every job. Dan is certified in both mold and asbestos remediation. Dan enjoys traveling, playing football, and driving racecars when he is not in the field helping customers. Hank Rusack is a Marketing Representative for SERVPRO of Meriden. He came to us with a background in construction and personal training, and has graduated to being a part of our Production Team. Hank is certified in asbestos safety and mold awareness. His attention to detail and strong work ethic make him a valued member of our team, as he sets a high standard for client satisfaction. His efficiency on jobs and willingness to go above and beyond for any customer have made him an integral leader within our company. When not in the field, Hank can be found spending time outdoors, no matter the time of year. 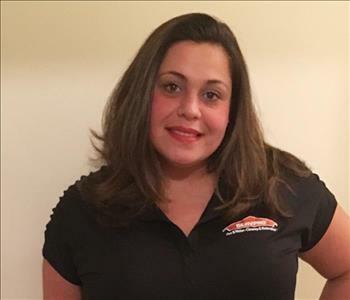 Lila Khiry is a beloved Sales Marketing Representative at SERVPRO of Meriden. Lila has been with the company for 3 years and is on her way to being water, asbestos and mold remediation certified. Lila is hardworking, dedicated, and a kind-hearted people person with superior communication and team-building skills. 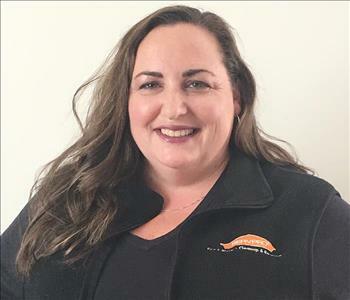 She is a member of the NJ Apartment Association, which has subsequently awarded SERVPRO of Morristown the“Most Charitable Association”Award. Lila is the youngest of four sisters and an amazing aunt to five nephews and one niece. With Lilah’s experience in the industry and customer advocacy, she is superb at leading our emergency services team. As a Commercial Sales Marketing Representative for SERVPRO of Meriden, Cathy Finlayson provides peace of mind to her clients. She is prepared with her team 24 hours a day, 7 days a week as an emergency response worker. She is adept at handling unusual situations and helps to reduce the stress of our clients. She takes the necessary time and dedication for each client while working around the clock with our team. Cathy is a board member for the CT Young Insurance Professionals and immediate past president of the Honorable Order of the Blue Goose, Hartford Pond. She volunteers on committees for the CT Apartment Association and the CAI Young Generation Committee. Cathy has been in the cleaning and restoration business for over 20 years and is IICRC Certified in both fire & water damage restoration, mold remediation, and is and Advanced Systems Drying certification holder. Cathy is married and the mother of two children, active in the community, and the leader of her daughter’s local Girl Scout Troop. 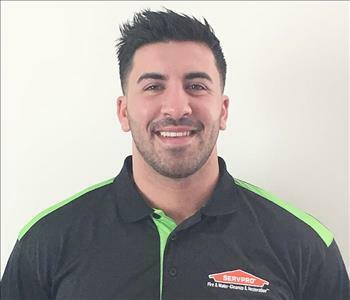 Sean Spatafora has been a Marketing Representative at SERVPRO of Meriden for over 7 years. He is renowned for his great working relationship with all of his clients. Sean is IICRC Certified in both fire and water damage restoration, mold remediation, and is an Advanced Systems Drying certification holder. He acts as an advocate for all of his customers and ensures a smooth process from start to finish. When he is not helping clients with insurance claims, he enjoys watching sports and spending time with his wife and new-born son.